The amount of ‘Yeses’ I received, confirmed that raising awareness about the importance of car seats is desperately needed. If you responded yes to the above questions, the time is now. Wake up! Take responsibility for the parenting decisions you are making. Your child’s body is not as strong as your own. Much of a baby’s skeleton is made of soft cartilage that will eventually turn into bone. This makes them more vulnerable to injuries during a crash. Particularly since their organs are not as well-protected as those of an adult. Developing brains and spinal cords; brain and spinal cord damage are more dangerous in children, whose brains and bodies are still developing. Children’s smaller size, which makes it easier for even a relatively light bump to your car to send them flying. Children’s lower self-control; an adult knows to sit still in his or her seat. But your child may squirm in his or her car seat or booster seat if he is not properly secured; making him more vulnerable if you get into a crash. A car accident could cause severe injury and fatal wounds. The use of a car seat will minimise the injuries. An accident is rather unpredictable and can happen at any moment without any previous warning. Although adults could possibly withstand abrupt shocks or minor car crashes, young children and babies without the right safety gear almost never survive such accidents. Your child’s safety should be your number 1 priority in order to safeguard them from such adverse incidents. There are hospitals that won’t let you take your baby home without a properly installed car seat. And you can bet that once those contractions kick in, you and your partner won’t be in the best frame of mind to start trying to figure it out. Make sure to give yourself plenty of time—at least several weeks before your due date—to set it up. I made this mistake and left it until the very last minute, even though Milly had reminded me on several occasions. It is not something you can just assume you will get right on the first attempt. I didn’t. Set it up in advance and triple check it! Jane Linley-Thomas (East Coast Radio) and her thoughts on the importance of car seats. “Kids being strapped in tight is a no brainer. I mean why wouldn’t you want to secure your life’s most precious gift while hurtling along the highway!? So many times I see little people rolling around on the back seat, or standing up on the front seat of an expensive car. 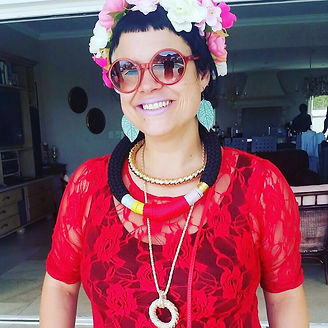 Candice-Lee Dennis (Owner of Lollypopz Creche, Pre-School and Pre-primary School), and her thoughts on the importance of car seats. 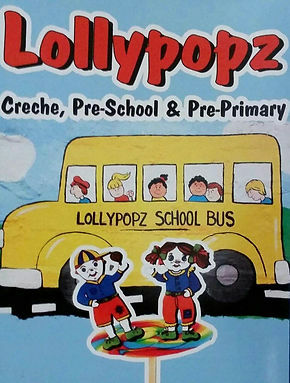 “I have had Lollypopz Pre-School for 10 years now. We care for children aged 3 months – 6 years. I have two children of my own aged 8 and 11 years. They know what the rules of my car are, and so do their cousins and all their friends. At Lollypopz we generally find that many parents don’t bother to use a car seat from the age of 3 years and this is becoming increasingly concerning, as it seems to be happening younger and younger. Parents need to understand that the distance being travelled is completely irrelevant. Even if you are just going down the road you could turn the corner and be T-boned by another vehicle. (You’d think this is common sense!) It doesn’t matter how good or careful you are as a driver. You may trust yourself, but you can’t trust the driving of everyone else on the road! Do you really want to put your child’s life in the hands of all of those strangers who are on the road? By choosing not to use a car seat, that is exactly what you are doing! From the word go, we as parents are responsible for making sure that our children travel safely. More children die in car crashes than in any other type of unintentional injury. As a parent, your main focus when travelling should be to keep them safe in a car seat. #CarseatFullstop. No compromise, no excuses!